MILES CITY, Mont. — On her ranch far from the high-powered fiberoptic connections of major cities, Traci Glasscock was frustrated. An English teacher at Custer County’s public high school here, Glasscock wanted to take college courses to give herself more career options. But she was too far from her nearest college and didn’t have the internet bandwidth needed to take classes online. Distance and technology hinder the college aspirations of a surprising number of rural Americans. About 3 million adults live more than 25 miles from a college or university and lack the sufficient internet speeds to take online courses, the Urban Institute reported in February. While that’s only 1.3 percent of the nation’s population, nearly 12 percent of Native Americans and indigenous Alaskans live in these so-called education deserts, the institute found. That makes them 16 percentage points less likely to attend college than Americans who live close to college campuses, and even less likely to complete it — 18 percentage points. “This study demonstrates what many Native Americans, rural Americans, and other Americans living in education deserts already know: As long as broadband access depends on geography, place still plays an important role in access to higher education,” the Urban Institute concluded. Researchers have suggested that four-year colleges work with community colleges to offer bachelor’s degrees on campuses close to education deserts, and that the federal government do more to extend broadband internet access to rural communities. Dannyelle VonWeller experienced the challenge of place while growing up on remote Prince of Wales Island in southeastern Alaska. Only two people from her high school class of about 20 left the island to attend college, she said, and both dropped out and returned to work in fishing or logging. Studies have found rural students whose parents did not attend college are more likely to drop out of school than their peers. VonWeller, 31, has since moved with her teenage son to Williston, North Dakota, so he has more educational opportunities. 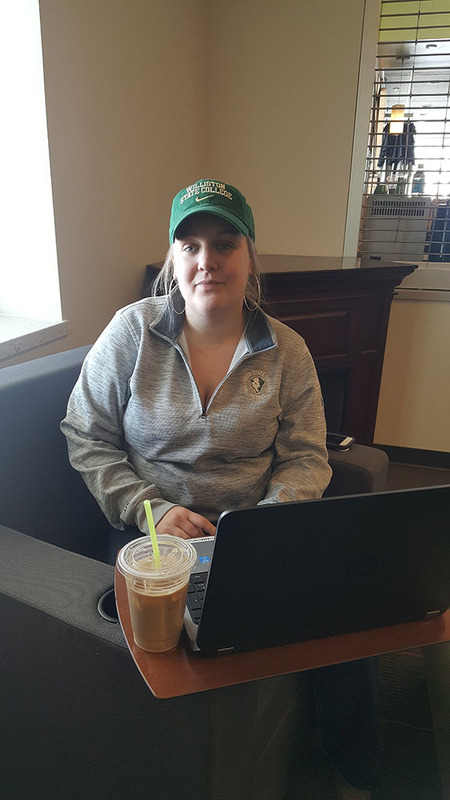 She is attending Williston State College, a community college, and plans to transfer to a university when her son is old enough to do the same. Back in Miles City, a Montana ranching community about two hours from the closest four-year university, just half the local high school’s graduates go on to college. Although the town has a community college, work tends to be more of an option than college for many kids, said Stacy Klippenstein, president of Miles Community College. Klippenstein and the high school’s principal, Beez Lucero, are working on ways to boost college-going rates. Part of the challenge, they said, is explaining the value of a college education in a community without a university, and where people value self-sufficiency. “It kind of goes back to that cowboy way. It just takes a little more explanation,” Lucero, who was born and raised in rural Montana, said in his office in the nearly 100-year-old school. Lucero and his teachers try to explain the financial value of a four-year degree to students — that people with bachelor’s degrees earn 84 percent more over their lives than those with just high school diplomas, according to the Georgetown University Center on Education and the Workforce. He said he also encourages students who don’t see themselves as college material to go to a community college or technical school to learn a skilled trade. Some colleges are trying to reach out to students who live in nearby education deserts. Sisseton Wahpeton College, a two-year tribal school on the Lake Traverse Reservation in South Dakota, recently started a door-to-door shuttle service for students within 25 miles of its campus. When they’re not on a route, the drivers work on campus maintenance. At North Carolina’s Martin Community College, where some nearby communities have no internet service, administrators try to persuade students to spend as much time as possible on campus so they can keep up with their work online. Universities in states with large swaths of rural land, meanwhile, have tried to show students in those areas that college is possible. But budget cuts have made such efforts difficult. 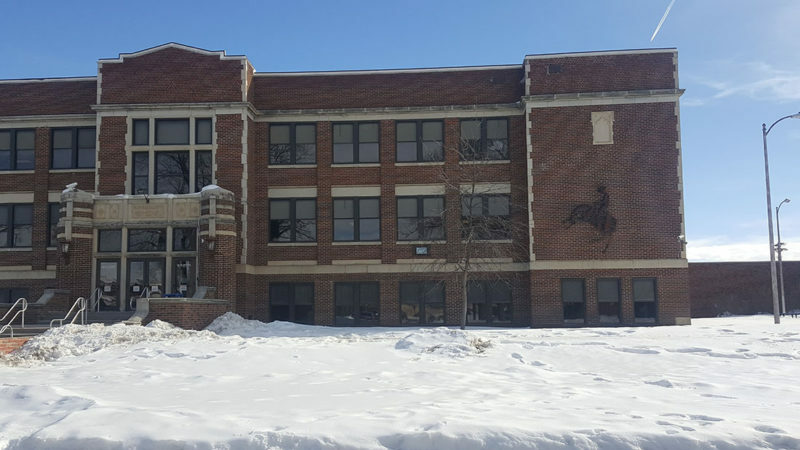 North Dakota State University tries to send counselors across the state to reach students in remote areas, but limited funding makes it more efficient to visit metropolitan areas with more high schools, said Merideth Sherlin, the admissions director. “It’s kind of a delicate dance to balance all those obligations,” she said. Those living in complete education deserts are 16 percentage points less likely to attend college than Americans who live close to college campuses, and 18 percentage points less likely to finish. Schools such as the University of Montana are using more online outreach to attract rural students, but that strategy only works when a family has reliable internet access. The university has a team of four recruiters who visit every Montana high school, including those in education deserts, said Thomas Crady, the university’s vice president for enrollment and student services. As VonWeller’s experience in Alaska shows, it’s often not enough to simply reach students in far-flung areas. Several rural students and educators spoke about how college attendees from education deserts can be overwhelmed by the sheer size of big universities. That’s what happened to Patrick Laney, 23, who grew up on the Fort Peck Indian Reservation in Montana’s remote northeastern corner. After high school, he attended the University of Montana in Missoula, but quickly found himself unable to cope with the campus of 11,000 — more students than there are people in all four counties that comprise his reservation.